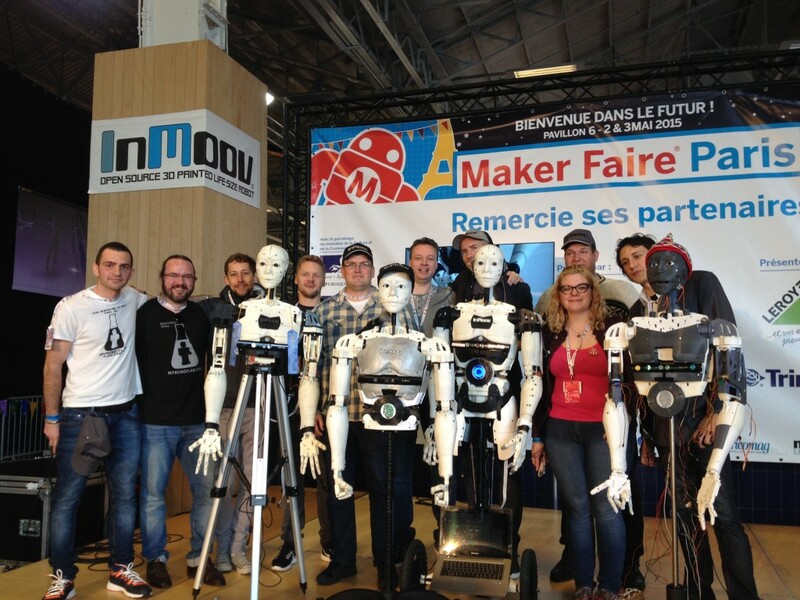 We had a great time at the Paris Makerfaire! We had the joy to meet Markus Örngren who came with is InMoov Robyn from Sweden. Alessandro Didonna from Italy, who brought his InMoov as well, along with demonstrations using the Leap motion straight into MyRobotLab. Bram and Richard of Wevolver brought also their InMoov and Kevin Watters from the USA helped them to set the Oculus rift into their script of MyRobotLab. We also had the presence of students of the University Imerir with their printed InMoov Charlie. We had great talks and ideas with all the Makers!! Alessandro’s computer was stolen a short time after this picture was done. Unfortunatly, we had a Macbook Pro stolen, although we were vigilant. It was Alessandro’s computer, he had just bought it, and had worked hard on MyRobotLab to update all dependencies so everyone could use the software on their Mac. 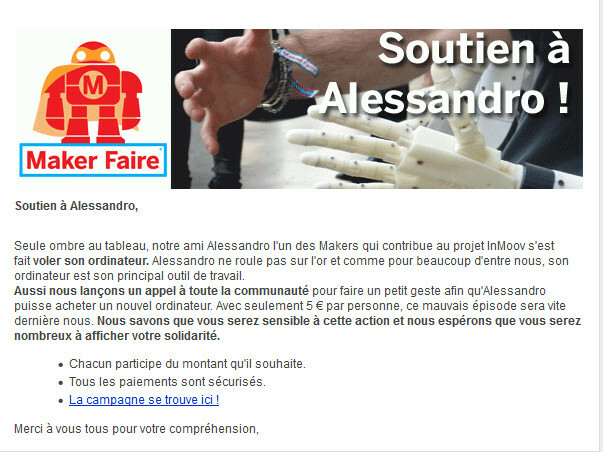 Alessandro has been helping a lot of persons, since two years, through the shoutbox of MyRobotLab. 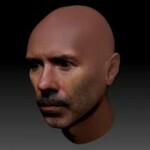 During those two years, he has been helping to implement Leap Motion, Kinematic, and Kinect detection into MyRobotLab. Also, thanks to him, our InMoov can do face tracking and object tracking straight out of the box. I feel very bad about this, and if I had the money, I would pay for his computer straight away. I am setting this donation link to call for your support, Alessandro is a student and this computer meant a lot to him. Thanks to this fantastic crowdfunding concept, I’m sure, if every hearted Maker helps and DONATE just a little, we will raise enough for to get him back what has been stolen. This entry was published on May 10, 2015 / Gael Langevin. Posted in alessandro didonna, computer, makerfaire. Bookmark the permalink.